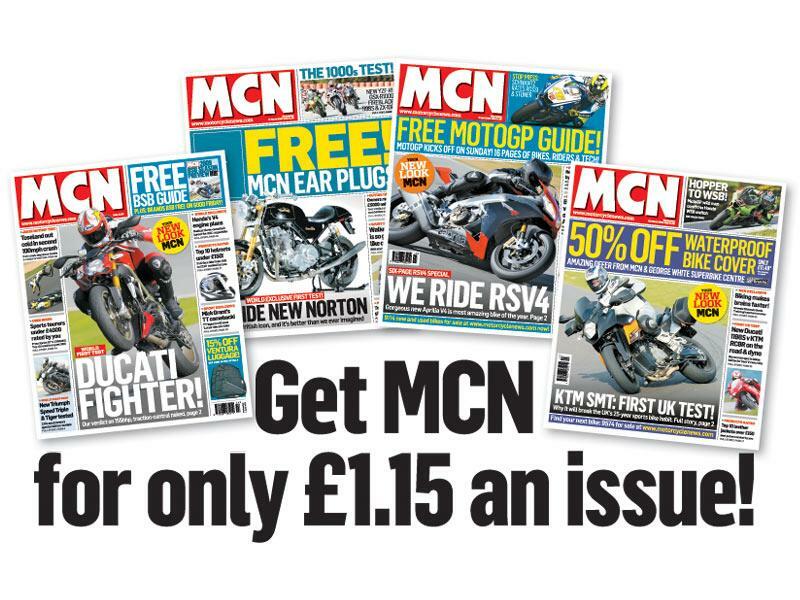 ﻿ Get MCN for only £1.15 an issue! Get MCN for only £1.15 an issue! Subscribe to MCN before May 15 and get your copy of MCN delivered to your door every week (first class) for just £1.15 per issue. That represents a saving of 75p on each paper, plus you ensure that you never miss another issue of MCN ever again. Every week the new look MCN features a fantastic reader offer or freebie that you won't want to miss out on, as well as more product reviews, more used bikes and celebrity columns from the likes of Charley Boorman, Troy Bayliss and Hairy Biker Si King. To subscribe, call 0845 601 2672 (quote ETCC) or click here to order your subscription online.